Prey is a lightweight and totally free, open-source program that can help you locate your lost computer or smartphone. It runs silently in the background, offers a great set of powerful features, and, best of all, worked really well in my tests. It's a "must have" anti-theft program to install on your computer — a great alternative or addition to using other laptop tracking and recovery applications. There's only one reason I can think of to not install Prey on your computer and phone now, and that is: if your laptop goes missing you really wouldn't care if you got it back or not. In other words, pretty much everyone could use Prey. Installing the open source program on my laptop running was quick and straightforward. Using the default settings, I was signed up for a Preyproject.com control panel account where I could manage program settings and access detailed reports once I reported the laptop missing. Unlike other tracking and recovery applications, Prey doesn't communicate with a central remote server until you want it to. That feature plus the program's open-source transparency adds important privacy assurance — you may not want any third party to be tracking your computer's location unless there's a good reason to be doing so. I tested the system out by marking my laptop missing in the control panel. After doing so, nothing seemed to actually happen on my laptop — an important feature, really, so thieves in all likelihood would be unaware their movements are being watched. From installation to tracking activation, Prey runs silently in the background and uses minimum resources. 15 minutes later, however (I changed the amount of time to check for updates from the default 20 minutes to every 5 minutes), I was notified by email of a new Prey report. At the Prey control panel the report provided me with my laptop's remote IP address (IP of my Internet Service Provider), internal IP address, computer MAC address, an accurate Google Map of my location, screenshot of my desktop as I was writing this article, and a creepy webcam photo of myself. In short, the program worked and if my laptop had indeed been stolen, this information could be useful for local law enforcement to retrieve my device. One thing I didn't test, for obvious reasons, were the advanced program modules to lock the computer, hide Outlook and Thunderbird email profiles, and delete browser cookies and stored passwords. Though not as protective as other softwares' ability to remotely wipe all data off the computer, these locking features can help protect at least some of your sensitive information. Other than thinking that a report should be generated as soon as the laptop is marked missing (rather than waiting the default 20 minutes later), the only other issue I have with Prey is that, even though I couldn't find the program in the list of running services, the application does show up in the Programs list and can be easily uninstalled from there. So a tech-savvy thief (or at least one who's heard of Prey) could just look for it and uninstall the application from the Programs menu. Paid tracking and recovery programs may offer more robust features like being embedded in the BIOS to prevent being circumvented if a thief reformats the computer and working on your behalf with law enforcement to retrieve your device. Prey, however, is a completely free program that offers many of the important features you'd want in a tracking and recovery application: stealth, small footprint, and robust reporting. Since it can be installed side-by-side with other similar programs, Prey can also possibly increase your chances of getting your laptop back even if you use a commercial application. For these reasons, I highly recommend Prey as part of essential mobile security measures for pretty much everyone. How Can You Protect Your Laptop or Smartphone in Hot Weather? Should You Replace Your Laptop With an iPad? 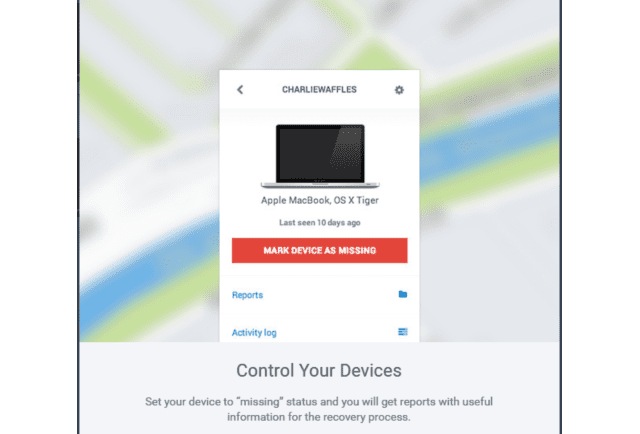 Can Anti-Theft Software Save Your Laptop? Can You Share Your Windows Laptop Internet Connection Over Wi-Fi? Should You Upgrade or Replace Your Laptop?